Keep your knits like new. 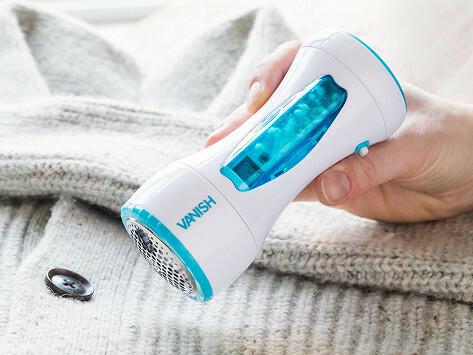 This de-piller hates fuzz, lint, and hair as much as you do. As you run it over your garments, its vacuum attracts the pills and then rotating blades remove them. All the unwanted “fluff” gets stored in an interior reservoir that you can easily empty when you’re done. Great colors and so convenient! Love this item. Does it job and is easy to use. Saves items from being thrown away or looking raggedy. Great idea. My old shaver wore out. 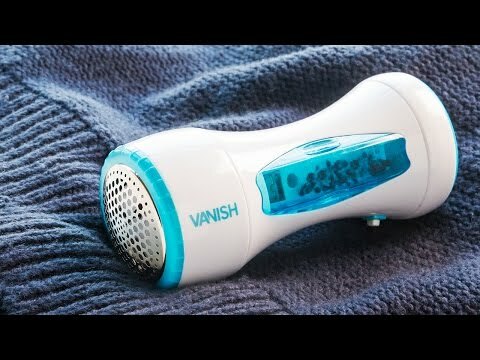 This shaver works better. I was really happy with the performance, it did a great joy removing lint from my leggings and pillow sham. I would recommend it to a friend. If you’ve got different kinds of fabrics, there are interchangeable screens and a felt tip to give each garment the treatment it needs.